South African entertainers and members of the media met the brand new MTV Shuga: Down South cast for the first time and got a sneak peek at the new set too! By now you already know the news, #MTVShugaDS is coming back to South Africa but for the longest time we’ve been desperate to know which actors will be starring on the show. We were given a small taste of what’s to come when MTV Shuga announced the 9 actors who had successfully made it through this year’s #MTVShugaAudition. But that didn’t answer our biggest questions – who would be coming back to the show and which other new faces would be joining the #Shugafam? Our questions were answered on the 18th of November. Members of the South African media, along with several entertainers including MTV Base VJs, Sandile GQ, Kim Kayde, Pharoahfi, Ntandose and Tshego Koko were the first to meet the new-look MTV Shuga: Down South cast and the excitement at the Casting Cafe in Rosebank was contagious by the time each of our cast members had a moment to speak on stage. We have had the pleasure of sharing an incredible journey with our loyal fans over the years. 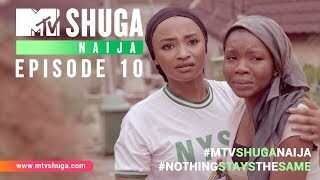 Since its first season in 2009, MTV Shuga has grown into an award-winning drama, packed with vital education that young people around the world are demanding at this point in time. Yikes. What can that mean? Keep an eye on the MTV Shuga website over the next few weeks, where we will be speaking to each of the cast and trying to dig out as much information from them as possible before MTV Shuga: Down South returns in 2019.